Also in November 1953, the Grapevine published a letter from EH: about the First European AA Roundup. EH: wrote, “That the Roundup was a howling success and we are darn proud of it! In 1952 in the AA News it is reported that K is in the planning to start AA in Leicester, and in 1953 the first meeting took place at his home in Wolvery. In the 1960 Where to find, there is a meeting held at a members house in Uppingham rd, Leicester. This meeting is not listed in 1961 but there is a meeting on Tuesday, 7.30 Friends meeting house, Queens road, Leicester. This is the same meeting that is still going today, and in doing the research I have found a link to K. In 1967 an open meeting of the fellowship took place at H. M. Prison, Leicester, this meeting was sponsored by Prison Inter-Group. The meeting was the first of its kind in the Midlands and was attended by 166 man and about 15 members of staff. There is anecdotal evidence that a prison group started in Leicester in 1968. Ken W. “a member of AA” shares his memories of AA when he came to Europe in April of 1954. Ken first travelled to England and then on to Paris, France. “There was a small group of AA in Paris, meeting at the American Church on Quai d'Orsay. One of the first 100 members of AA was part of that group. Also there was Emily H. and she was the wife of a senior military officer with the US Air Force in Wiesbaden. She told us of how she needed AA meetings. There were none in Wiesbaden and she was determined that there would be one. Because the first Monday in September is an American holiday with a three day weekend, she had written to and invited to her home in Wiesbaden, those ”loners” in the US Military who were stationed in West Germany. 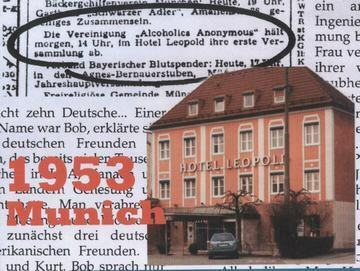 I believe there were about six or eight AA members, maybe more, who came for the very first European Roundup of AA's at her home the previous year in September ,1952.” Ken was invited to attend the 1954 European Roundup at Emily’s home in Wiesbaden. “There were perhaps twenty people, and some had come from Munich. 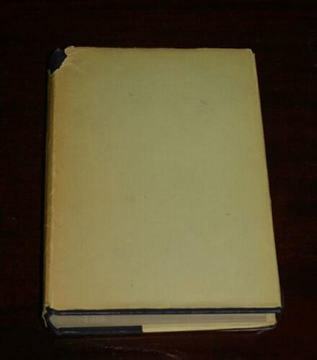 GB published 1st Edition of Big Book. Early versions had blank dust cover perhaps to preserve anonymity. Editions signed by Bill H; Canadian Bob; Alan of Bolton & Joe T. gifted to Bill W and a Polish member visiting London on way to US (Tadeus). 1st Gathering in Dumfries of the ‘Blue Bonnets’ a term given when member in Dumfries invited members from Birmingham & Manchester to come up and share. Roundabout restarted after 2 issues in 1950/1. In 1954 G, an alcoholic from Nottingham got sober by attending a meeting in Leicester. G was a small man, who didn’t mince his words and carried the AA message with a passion. In 1955 G brought Alcoholics Anonymous to Nottingham by holding the first meeting above the ironmongers shop on Aspley Lane. In 1956 the Nottingham first group found its first public meeting place, the YMCA on Shakespeare Street. 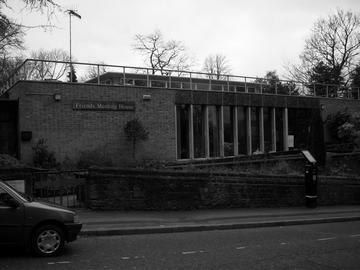 In 1962 the Nottingham second group started on a Monday 7.30 Friends Meeting House, Clarendon st, Nottingham. This meeting was short lived and was not on the 1963-meeting list, but in the same year the Nottingham first group moved from YMCA to Friends Meeting House on Wednesday at 8.00. Apart from a break in about 2007 this is the same meeting that is going today. In the latter part of 69 the first meeting took place in Newark, Saturday 6.00, Rest room, Charles st, Newark. 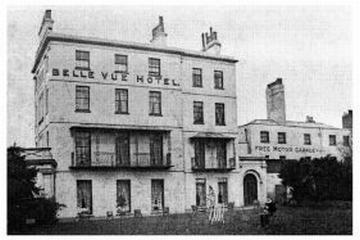 1st U.K Annual Convention at Belle Vue Hotel, Cheltenham. Refer to tapes. The first reporting of an AA meeting in Derby was in a 1958 copy of AA News, saying that W was holding a meeting of Alcoholics Anonymous at his house in Hartshorne, Derbyshire. In the May 1958 AA news is says “The functions of AA, have received excellent publicity in the Derby Evening Telegraph, the group has been reorganized and now meet every Monday 7.30 at YMCA, St Peters, Church Yard Derby”. This meeting is only listed until 1959 when it than goes back to just giving W’s phone number. And in 1961 there are no meeting in Derby at all. 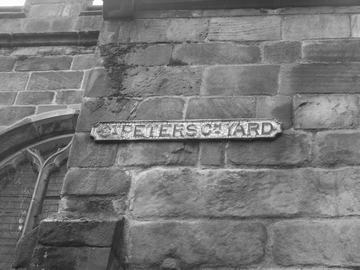 In 1962 there is a contact number for A, and in 1963 there is a meeting, every other Sunday, in St Mary Gate, Derby, and A is the contact for that group. This meeting was too last until 1966 when it closed. 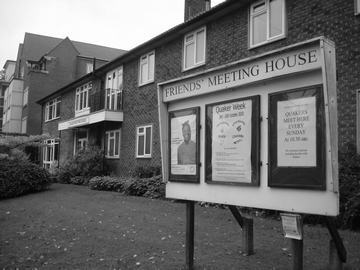 There were no meeting then in Derby until 1974 when a meeting started by Ar, at the friendship house, Chatsworth rd, Chesterfield. Since this meeting there as always been an AA presence in Derby. Number of registered groups in England exceeds 100.